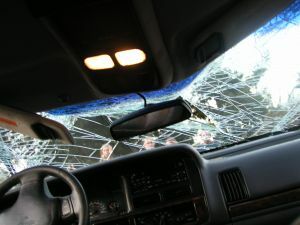 On Saturday, March 21, two motorists in Rockville Centre near Long Island crashed into each other on Merrick Boulevard, according to a recent news article at Newsday. The two drivers were 38-year-old Melody Thompson of Valley Stream, and 34-year-old Peter Serra of Oceanside. Both were charged with driving while intoxicated following the collision early Saturday morning. While neither of the drivers were injured, two passengers in Thompson’s vehicle did sustain serious injuries. The accident occurred just before 5 a.m. according to a police report, when Serra’s vehicle struck Thompson’s as she was traveling in an eastbound direction. Serra was driving his SUV in a westward direction in the eastbound lane. In addition to driving while intoxicated, Serra was charged with reckless driving and first-degree vehicular assault. A woman who was riding in the front passenger seat of Thompson’s vehicle suffered head trauma and multiple leg fractures. In addition, a woman riding in the back of Thompson’s vehicle suffered head trauma and a fracture to her left arm. She was listed in serious condition, while the woman riding in the front passenger seat was listed in critical condition. Initial news reports revealed that both vehicles were impounded, and that brakes would be tested. Driving while under the influence of alcohol and/or drugs often results in catastrophe, as was the case in this accident. Rarely do two vehicles crash into each other in which both drivers are intoxicated, however it does happen. In this case, the accident might not have occurred had Serra not been driving in the wrong direction. Anyone who is charged with DUI must consult with a skilled and experienced Michigan DUI attorney who will examine every detail to ensure your legal rights were not violated, and to determine the best legal option to reach positive results. Driving while intoxicated is a criminal offense that is punishable by jail time, fines, driver’s license suspension, community service, and more, depending on the state in which you reside. If you live in Michigan, waste no time before speaking with a dedicated defense lawyer.